President Ram Nath Kovind also said this is the age of communication and "we must use it to speed up justice delivery system". President Ram Nath Kovind was speaking at a conference on National Law Day in New Delhi. New Delhi: Expressing concern over non-affordability of legal services by the poor in the country, President Ram Nath Kovind today called upon on the legal fraternity to provide free legal services them. 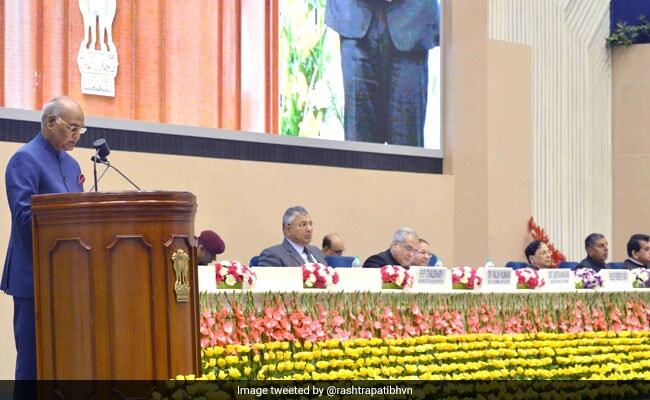 President Kovind, after inaugurating two-day conference on National Law Day, said the poor often shy away from judicial process due to delay and costs, and this has to be addressed. "India has acquired a reputation of an expensive legal system. In part, this is because of delays but there is also a question of affordability of fees," President Kovind said on access of justice to common person. "The idea is that a relatively poor person cannot reach the doors of justice for a fair hearing only because of financial or similar constraints while it's in our constitutional values and republic ethics. It is a burden on our collective conscience," he added. The President also said this is the age of communication and "we must use it to speed up justice delivery system". "Our legal system and judiciary must be responsive to technology."